Is Universal Display Corporation (OLED) Going to Burn These Hedge Funds? The successful funds run by legendary investors such as Dan Loeb and David Tepper make hundreds of millions of dollars for themselves and their investors by spending enormous resources doing research on small cap stocks that big investment banks don’t follow. Because of their pay structures, they have strong incentive to do the research necessary to beat the market. That’s why we pay close attention to what they think in small cap stocks. 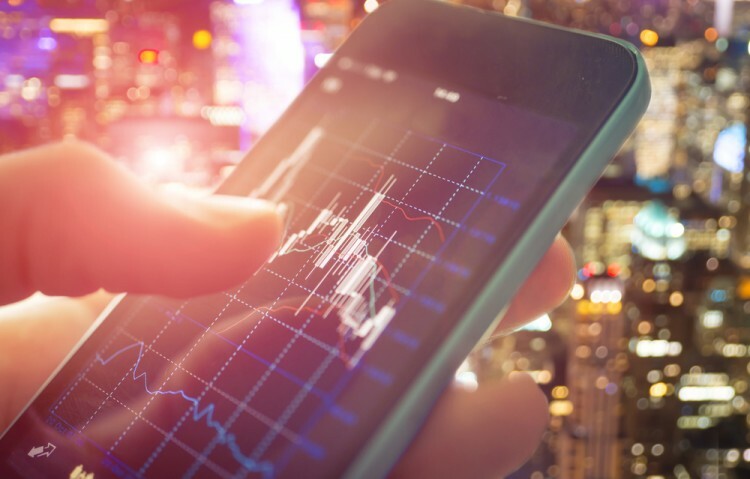 In this article, we take a closer look at Universal Display Corporation (NASDAQ:OLED) from the perspective of those successful funds. Universal Display Corporation (NASDAQ:OLED) shares didn’t see a lot of action during the third quarter. Overall, hedge fund sentiment was unchanged. The stock was in 20 hedge funds’ portfolios at the end of September, same as at the end of June. At the end of this article we will also compare OLED to other stocks including PNM Resources, Inc. (NYSE:PNM), WESCO International, Inc. (NYSE:WCC), and Nice Systems Ltd (ADR) (NASDAQ:NICE) to get a better sense of its popularity. How have hedgies been trading Universal Display Corporation (NASDAQ:OLED)? Heading into the fourth quarter of 2016, a total of 20 of the hedge funds tracked by Insider Monkey were long this stock, unchanged from the second quarter of 2016. 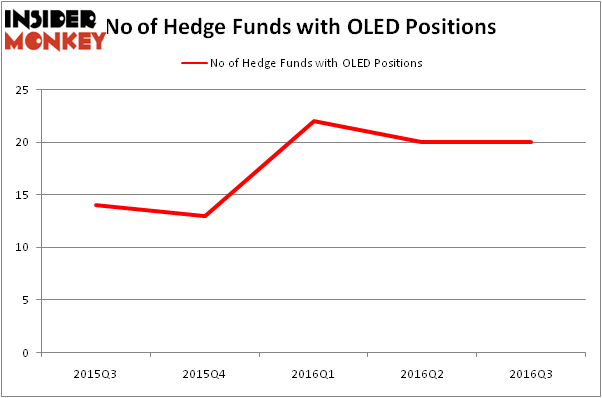 By comparison, 13 hedge funds held shares or bullish call options in OLED heading into this year, so hedge fund ownership of the stock is up be over 50% in 2016. So, let’s examine which hedge funds were among the top holders of the stock and which hedge funds were making big moves. According to publicly available hedge fund and institutional investor holdings data compiled by Insider Monkey, Columbus Circle Investors holds the biggest position in Universal Display Corporation (NASDAQ:OLED). Columbus Circle Investors has a $49.5 million position in the stock. The second most bullish fund manager is Polar Capital, led by Brian Ashford-Russell and Tim Woolley, which holds a $19.1 million position. Other professional money managers that are bullish encompass Christopher Zepf and Brian Thonn’s Kingdom Ridge Capital and Ken Griffin’s Citadel Investment Group. We should note that none of these hedge funds are among our list of the 100 best performing hedge funds which is based on the performance of their 13F long positions in non-microcap stocks. Hedge Funds Are Still Buying Novanta Inc (USA) (NOVT) Should You Avoid Nationstar Mortgage Holdings Inc (NSM)? Hedge Funds Don’t Think Very Highly of Annaly Capital Management, Inc... Is Nordic American Tanker Ltd (NAT) A Good Stock to Buy? Is Northstar Realty Europe Corp (NRE) Going to Burn These Hedge Funds? Is Liberty Sirius XM Group (LSXMK) A Good Stock To Buy?